Want to know what happened in your living room or office when you are not there?Or everything happened in your business conference room?Or how’s your nanny doing with kids? Or what is going on in the nursing home with elderly? Do you know when your Husky starts to explore and destroys your home while you are not there? You have come to the right place! 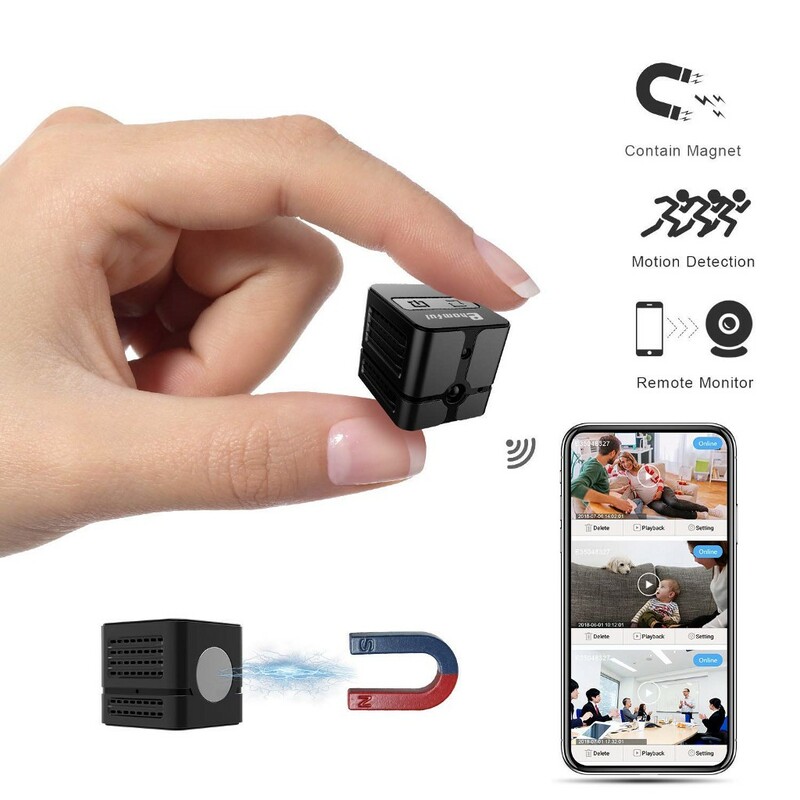 This Ehomful wifi spy mini camera E002 is born to satisfy you all what you do expect,playing in your hand,placing anywhere,streaming through out the world, 100% wire-free and absolutely get you peace of mind! YOUR GO-TO CHOICE IN SPY GEAR! 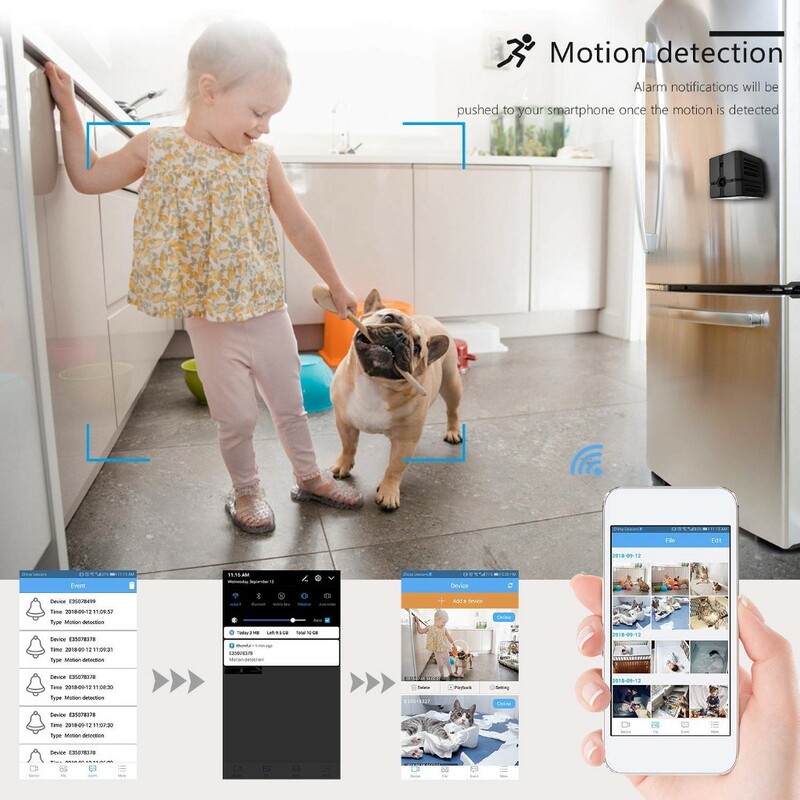 Ehomful E002 WiFi spy camera delivers fast, clear, live stream footage direct to your smartphone or tablet via the “Ehomful” App (IOS and Android),day or night. With its tiny 1 inch size, build-in magnet and battery, the Ehomful E002 can go anywhere you need it. 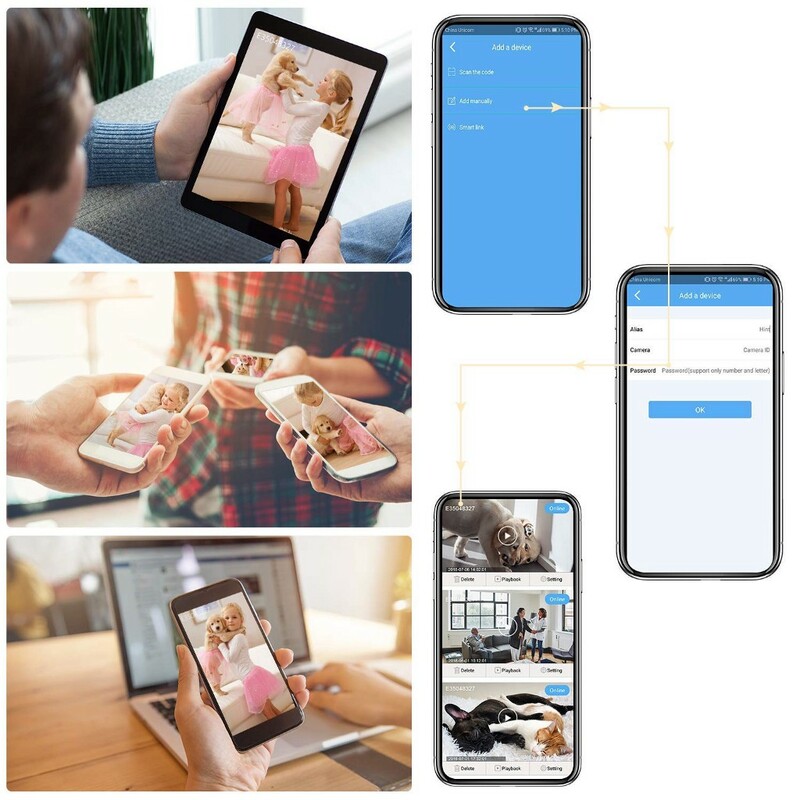 Use the “Ehomful” App to manage and view multiple cameras,share your cameras with other users,view motion activated alert photos or videos directly from the app. You can also record 24/7 continuously and watch playbacks.Having clear night vision,you can see a clearly image in the full darkness. Ehomful E002 spy cameras can provide you a streaming access for stopping stock room theft to protecting employee property from petty theft in the workplace.No need DVR system, no need screw.You can place or move this camera into your home anywhere you want. 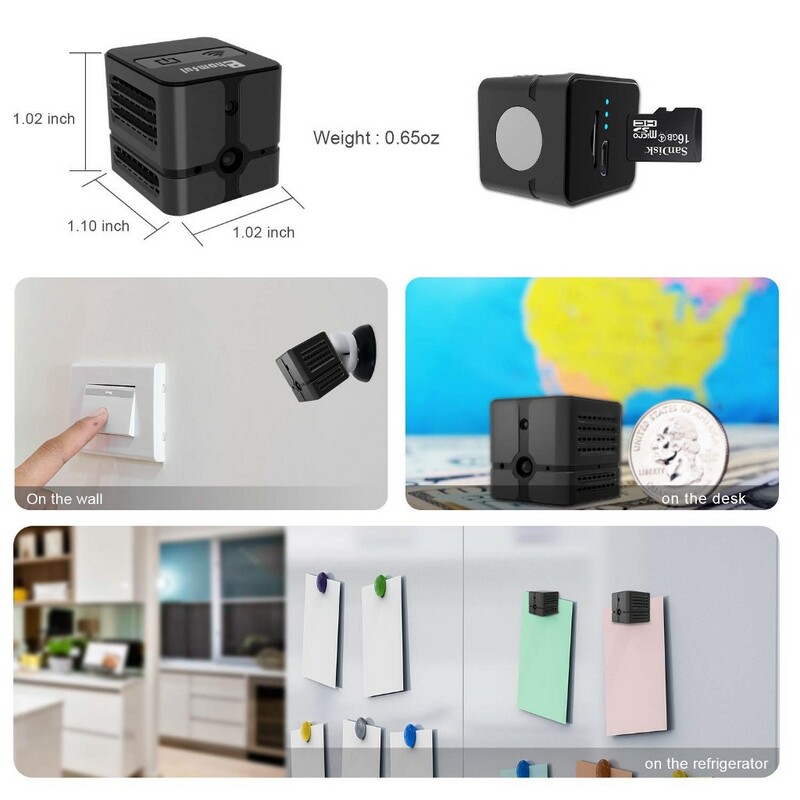 Small portable size, built-in magnet and flexible bracket with sticker, you will never imagine that building your home security system for full function surveillance only spend you several minutes. Having some fun family games night in the weekend,you would definitely be very enjoyed. Literally Ehomful mini spy camera E002 can also join your games like paint-balling, hide and seek or board games. Imagine how much more exciting a game like paint-balling would be if you could monitor where the opposing team was hiding? The most important thing is you can record memories to be watched back at any time. It’s no fun having to trudge off to work or school and spend the day wondering what your furry friend is up to back home. Are they lonely? Are they bored? Are they destroying the inside of your closet? 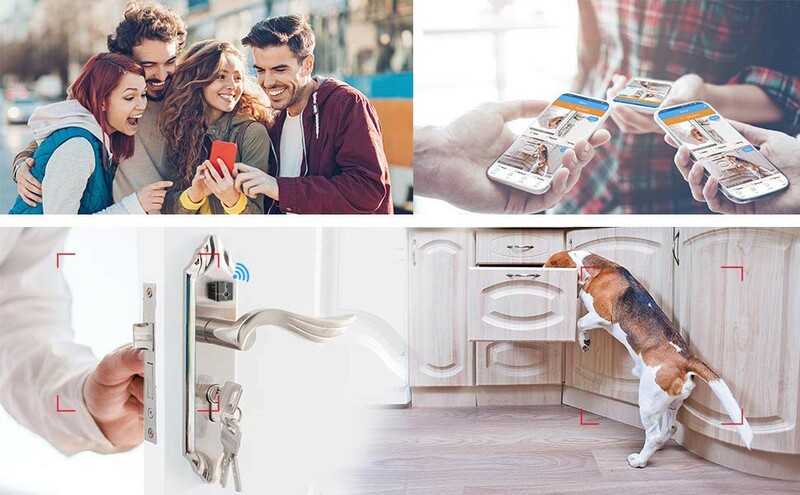 Ehomful E002 camera will let you check in on your pet. 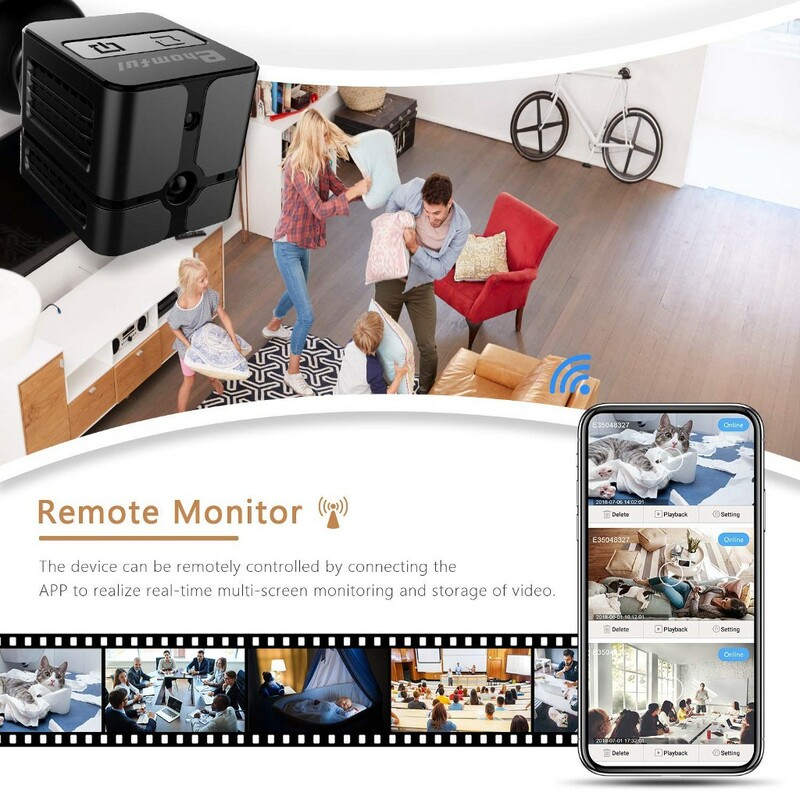 Ehomful E002 mini spy camera can record activity outside your house every night to ensure your home is not under threat, and even just to see what it looks like in pitch blackness. Are there any interesting animals roaming your garden? You can find out! Ehomful E002 camera can capture imagery of scenes a regular camera would be too large to achieve. Extreme sports, first-person perspectives of everyday life, and bird’s eye views are just a view of these exciting ways of implementing covert cameras for modern movies. Maybe you’re a keen birdwatcher keen to see owls in their nocturnal habitat? Perhaps you’re sure there is an interesting critter in your garden, or you’re a wildlife photography enthusiastic looking to learn about the activities of insects to make sure you get your best photos. Ehomful E002 camera are perfect for all of these uses, allowing you to discover the animal world of your surroundings like never before! ◆ World’s Smallest WiFi Spy Camera At a Coin Size: Dedicated craftsmanship and Excellent texture.With the functions of WiFi live 1080P real stream video,low live streaming latency ,offline video＆photo recording,motion detection,auto night vision convert with monochrome image and built-in strong magnet in the back. ◆ Built-in Magnet for Easy Mount: A built-in magnet allows the mini wireless spy camera to be attached on any metal surface.This combined with its 1inch size makes it ideals to attach to bike,car or skateboard on the road. Or you can mount it on a desk shelf, fridge door and any fixed place you want.Cyber Monday sales home security camera. ◆ Fast Live-streamed Delivery and Auto Night Vision: Utilize our latest technology of low streaming latency (under ¼ second). Without having to sacrifice quality,this mini camera spy wireless hidden cam can make you highly experienced on achieve a very smooth live-streamed video and no any frozen scenario occurs.Having no concern of chasing down how to enable the IR sensor for night vision.The mini WiFi camera would automatically turn on the IR sensor when it detects low light. ◆ Two Modes Network Connection: 1. Camera WIFI: This mini camera includes built in Wi-Fi.The camera creates its own WiFi access with effective range of 160 feets . The spy camera Wi-Fi can be used for streaming live video via cellphone or tablet,with no need of internet connection. 2.Internet Connection:You can set up the wifi spy camera and connect it to your router wirelessly. You are able to view your camera outside your network using internet or different WiFi connections. ◆ Motion Detection with Alert Push: The mini camera records when detect movement.Wake up and record in less than a second when motion is detected.Alarm notifications will be pushed to your cellphone,and will auto snapshot photos on SD card.Alarm picture will be sent via email(please set on PC Client).All motion video clips will be recorded on an external Micro SD card,up to 64GB. 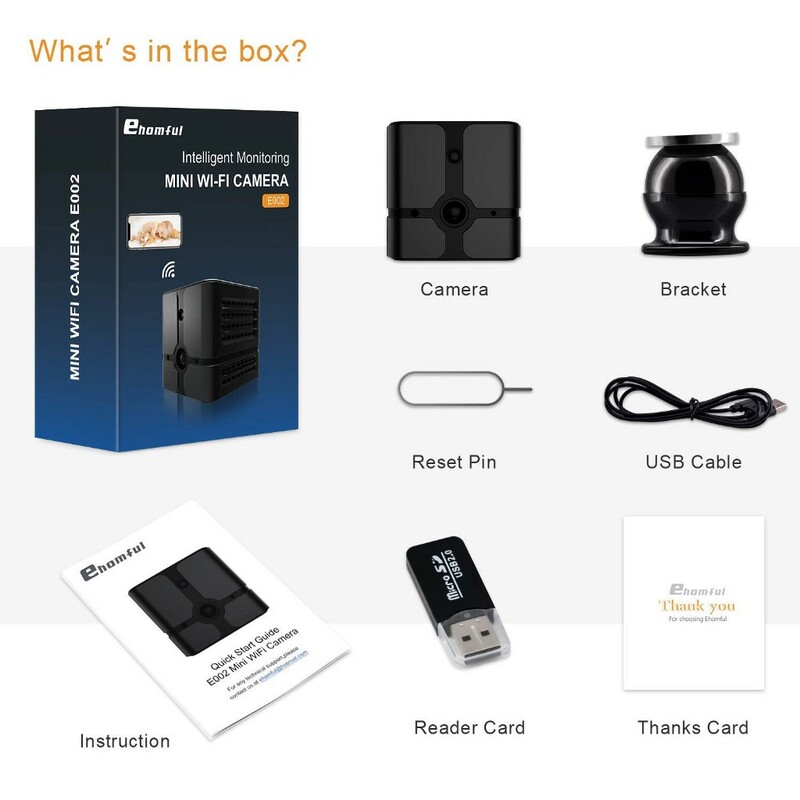 (SD card is not included,and instruction manual is straightforward and easy to follow with native written English).